You’ll Be on Your Own in the Next Crash. The Rich Are Getting Out of Town. Cultures are about shared values. Society has always had its rich, poor and in between, but the glue in any society is that all of citizens have something in common even if their financial circumstances vary. That’s not true anymore. The rich are not just rich, they’re super-rich and have options that everyday citizens cannot obtain and can barely imagine. This separation of the super-rich and everyone else is playing out in anticipation of the next financial crisis and the social breakdown that will not be far behind. Everyday citizens prepare for adverse circumstances with batteries, bottled water, flashlights and a first-aid kit. 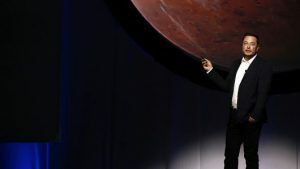 The super-rich are preparing to leave the planet in spaceships or at least get to private estates in New Zealand with ample food, water, and solar-powered electricity waiting for them when they get there. This article takes a critical look at the preparations of the super-rich to leave the rest of us behind when society implodes. What is most revealing is the extent to which the super-rich are just as confused and unprepared as anyone else when it comes to survival in a crisis. That’s an easy one. You pay your guards the same way Julius Caesar and King Henry II did – in gold and silver. If the rich can’t figure this out, it shows they’re no better off than anyone else despite their rocket ships and New Zealand estates.